A review on the life history of Sympetrum frequens in Hokkaido, Japan, written by me appeared in the current issue of the Journal of the Japanese Society for Odonatology, "Tombo". The review was written in Japanese but English translation of the summary, the captions of the figures and appendix was added. are migration and reproductive diapause involved? 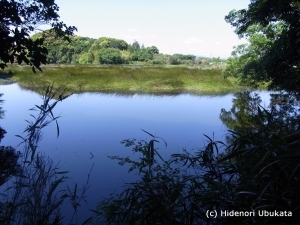 Life history events and spatio-temporal distribution of the imagines of Sympetrum frequens (Selys, 1883) in Hokkaido were reviewed and the possibilities of adopting (1) migration between lowland larval habitats and cooler mountainous areas and (2) reproductive diapause were discussed for Hokkaido population. 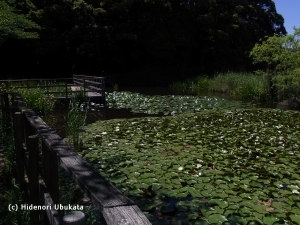 Emergence began in late June in the district where air temperature sometimes exceeded 30°C even in May (i.e., Abashiri District) or in early August in the district with a cool spring (Nemuro District). Precocious adults showed reproductive behavior as early as late July (estimated to be ca. 20 days after emergence), and mass engagements in tandem flight began from late August until early September (estimated to be 40–50 days after emergence) in Ishikari and nearby districts. Individuals performing such a synchronous reproductive behavior 20 days or more after the dates of the earliest reproductive behavior might have undergone reproductive diapause, which could afford a safeguard for avoiding loss from part of their eggs hatching before winter. Many imagines, mostly immature adults, were observed at 400–2,100 m alt. on Mt. Daisetsu during July and early August. They were likely to be those which had emerged from paddy fields, ponds, etc. 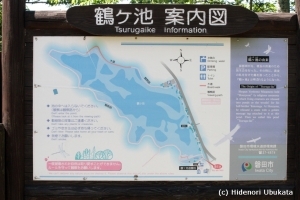 on the Kamikawa Basin and had flown toward the upper reaches of the mountainous area because the ponds at 1,300–1,700 m alt. were in a condition just after the snow thaws, which should have prevented the larvae from growing and becoming imagines before early August. 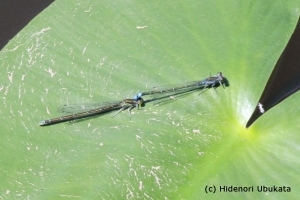 Actually, no larva of this species was captured during surveys made at various ponds at 1,300–1,700 m alt. in July. Most of the populations emerged on the plains in central Hokkaido was likely to migrate or to move toward mountainous areas and then to fly further toward the upper reaches. 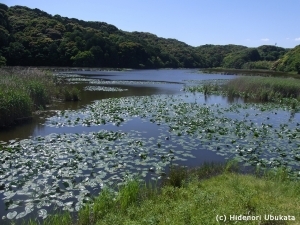 But the portion of the Hokkaido population that remained on the plains without migrating to mountains were likely to be much higher than those of the central Honshu populations. As Uéda (1995) predicted, the altitudinal zones utilized by the Hokkaido populations during hot summers were much lower than those of central Honshu, having had no altitudinal gap with the subpopulations remaining on the lowlands. Nevertheless, part of the Hokkaido population is likely to migrate as a habit, if the following observations by Wataji et al. 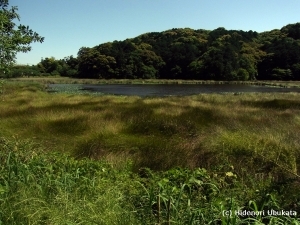 (1997b) in Sapporo city are taken into consideration: at least some imagines of S. frequens tended to perch high in the tree canopy around the emergence site on the lowland during the first few days after emergence and then fly rather steadily towards distant mountainous areas. This habit is likely to be an adaptation for long distance (e.g., 10 km) migration across the plain towards mountain areas. Actually Wataji et al. caught several individuals out of several thousands that had been marked at an emergence site, in the middle of the Ishikari Plain. Finally, genetic traits of reproductive diapause and migration were discussed in the context of adjustments responding to climate and seasonality, followed by speculation on the evolutionary processes of these traits in Hokkaido. PDF reprint is available upon request.